I noticed that my cooking and fishing had fallen behind during my leveling binge in Outland (to say nothing of my lowly Blacksmithing). Catching fish in an area that would feed my cooking score was giving me more trash catches than I would like, even with the Nightcrawlers the nice ghouls had given me. I decided that a good way to raise skill would be to catch Old Ironjaw. If I was going to want the achievement sometime anyway, I might as well get points for working on it. I had made a few tentative casts into the pond before, but I had never really set out to catch him. I announced in guild chat that I was staying there until I had Old Ironjaw or 375 skill. Just 772 fish and 3 lesser healing potions later, I had 375 skill. I guess I’ll try again sometime. 775! I fished up 3 potions, and those count! Here is a table of how quickly fishing skill comes. I did the same thing .. 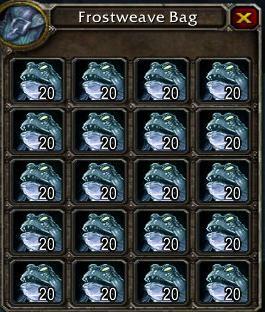 I stood under the lava wheel in Ironforge trying to catch Ol’ Ironjaw for a couple of days, and levelled fishing from about 150 or so to 375. You can actually fish anywhere you want now, your just not as successful if you fish in an area that is a higher skill level, but you can level up, even if you get junk.